*first text is the work out they did, parenthesis is modification! 7. .25 run, switch when runner is done! One of my clients here in NOVA asked me to post an “abs only” set that can be stuck on the end of any cardio or Iron Mamas work out. If you are ever in need of something specific, feel free to ask! I am here to help all of you reach your goal(s), so stay in touch. You guys are doing great commenting after you complete a work out, keep it up, no matter how old the post! Repeat with 15 reps each, 10 reps each and 5! Fall weather is perfect for getting a good night sleep, cooler temps equal snuggle in bed! But, make sure you are getting a good 7-9 hours each night of the best sleep you can. Get yourself organized during the day, while cooking dinner, etc. Make sure anything on your mind for the next day is written down so your mind can let it go. New research says, missing just ONE night of sleep can slow your metabolism 20% or more the next day. Running your body all night wears it out, so it’s less efficient at burning calories. SO, sleep tight tonight! 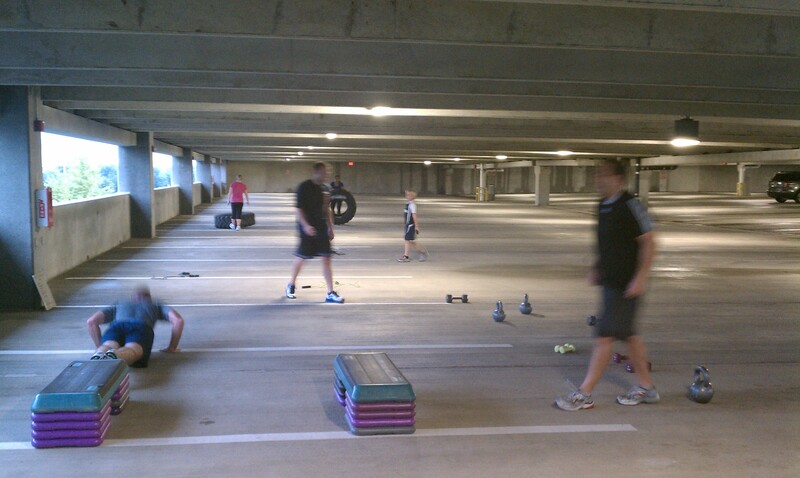 Yes, you read that right….this workout was completed in a parking garage! Ten of my friends/clients got together this evening for a new Wednesday night boot camp I started here in Leesburg. We have had an unbelievable amount of rain, so we met on the top level of a parking garage just in case! 1 legged jump rope (ea side) if you miss…5 burpees each miss! 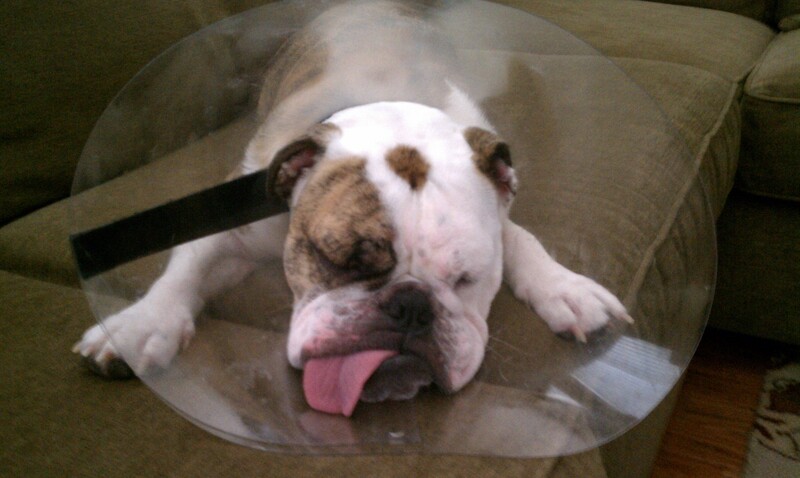 As you can see, Miss Stella was at home resting, (she is having a terrible allergy attack) such a tough life! The yuck weather we have had for day(s) inspired this work out! Labor day marks the end of summer (bummer) but also marks the beginning of fall which is such a great season for exercise! This is a simple BENCH and WEIGHTS work out. Print it out and take to the gym, or do it at home for a work out in a pinch. Bench should be medium height (for you) and weights should be 1 set heavy, 1 set step down just in case.